The agency’s No. 1 job is to protect consumers. Yet according to a compliance operations official who worked at FSIS for many years, internal corruption, mismanagement, low morale, and undisguised conflicts-of-interest within the agency often prevent FSIS inspectors and investigators from doing their jobs. It’s a public health crisis “just waiting to happen,” the official told us, on condition of anonymity. There are two kinds of inspector positions at FSIS—those who work the kill line in slaughter facilities, and consumer safety inspectors who check companies for compliance with their hazard analysis and critical control points (HACCP) plans. HACCP plans seek to prevent biological, chemical and physical hazards in food processing. Such subterfuge led to one of FSIS’s most impressive actions, citing an instance where “We got the message that rendering was doing a lot of pickups at a particular location and investigated.” Rendering plants process animal by-products to make tallow, grease and high-protein meat and bone meal. FSIS’s investigation led to the 2014 recall of 8.7 million pounds of beef products processed by Rancho Feeding Corp. in Petaluma, California, because Rancho Feeding had processed sick animals, including some with eye cancer. The recall included Walmart Fatburgers, Kroger Ground Beef Mini Sliders, and several Nestle products, and encompassed California, Florida, Illinois, and Texas. It included both familiar beef cuts and offal, which refers to the head, intestines, liver, tongue, feet, hearts, bones and trim derived from cattle. For government attorneys to take on a food case it must be airtight, as those attorneys are busy with arson and murder cases, the FSIS official told us. The Rancho Feeding case fit those criteria. 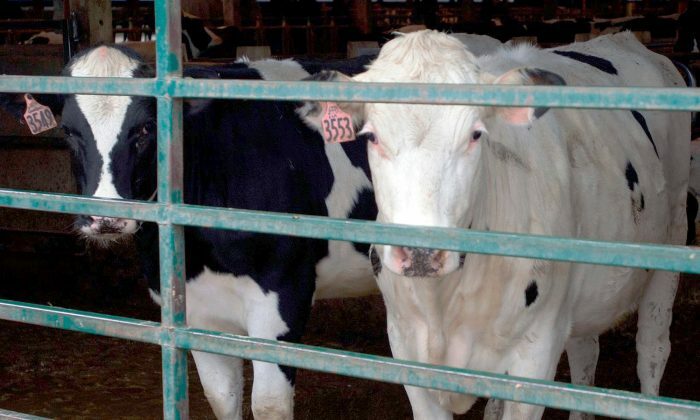 In addition to the “yuck” factor of eating meat from beheaded cows with eye cancer, Rancho’s plot presented serious and deadly risks, the official said. The Rancho meat sneaked past inspectors, could well have contained specified risk materials (SRMs) which could transmit BSE (Bovine Spongiform Encephalopathy) commonly known as Mad Cow Disease. Not unlike other government-regulated industries, a revolving door, and “old boys’ network” characterizes the relationship between the USDA and FSIS, and the captains of the meat industry, our source told us. Lobbyists, like those at the influential North American Meat Institute, are often former government workers or regulators who know how the game is played. In addition to FSIS’s many inspectors, investigators regularly visit food wholesalers, retailers, and processors to regulate packaged and ready-to-sell items. Yet again, their work can be impeded. “If something does not look right to our inspectors, we ask to see records but they can be in a foreign language,” the official said. In recent years, the meat industry has rolled out many “post hoc” treatments to curtail meat pathogens—from the ammonia puffs used to make “pink slime,” to irradiation, chlorine, carbon monoxide and of course antibiotic sprays. Yet, “it is a bad way to do business,” the official told us because different meats and different pathogens require different treatments. Clearly, there’s a lot wrong at FSIS that needs to be fixed. Similar corruption and product adulteration were seen with early alcohol production, our source told us. But the Bureau of Alcohol, Tobacco, Firearms, and Explosives was eventually able to rid the agency of industry lobbyists and influence. This article was written for the Organic Consumers Association by contributing writer Martha Rosenberg.